I use a bunch of electronics while on the road. I’m constantly fighting a losing battle when it comes to keeping my devices powered on. Over the years I’ve bought different kinds of power banks and have met with different levels of success with them. They eventually run out of power especially on long camping trips. 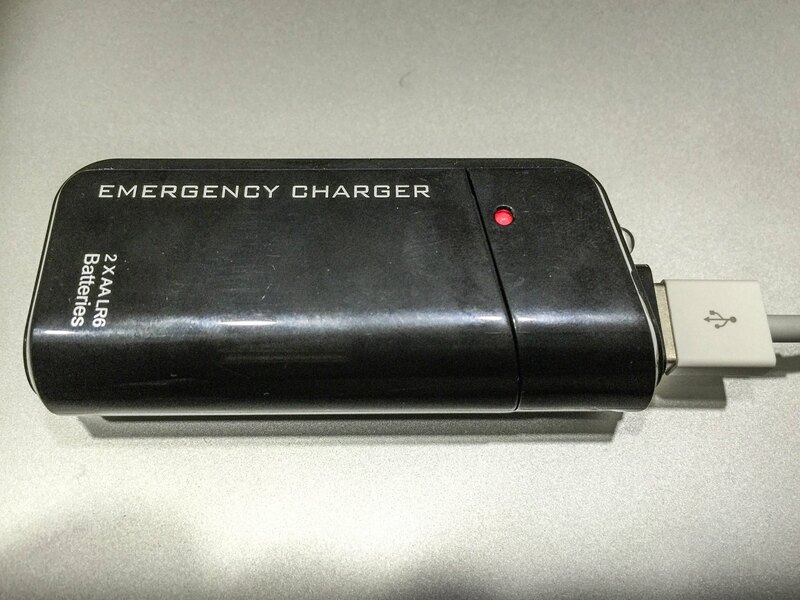 While searching for a more robust solution for my portable power problem I came across this emergency USB charger which uses two AA batteries. I don’t mind carrying a bunch of AA batteries as long as I can keep charging my devices. Unlike the big and fat power banks this device is small and light. It’s as big as and a cigarette lighter and can sit beside your mobile phone in your pant pocket.